When relocating your business, there are several things that every business owner must consider. Not only do you need to have a professional team of commercial movers on your side, you also have to consider how a relocation will affect your staff and your business’s bottom line. There are several ways that you can minimize your company’s downtime during a move, and at O’Mara Moving and Storage, we have a comprehensive list of commercial moving solutions that can help your relocation go as smoothly as possible, including long and short-term storage and custom crating and packing! Our Rockford commercial moving company started with humble beginnings back in 1865. While we have come a long way from horse drawn carriages, our mission of providing exceptional service to our customers has stayed the same. As an agent for North American Van Lines and North American International, our professional commercial office movers can handle any size office move or corporate relocation in northern Illinois or southern Wisconsin. Locally in the greater Rockford area, out of state or to anywhere in the world, we provide comprehensive moving solutions to help with business relocation, office expansion, employee household moves, and virtually any other commercial moving needs. 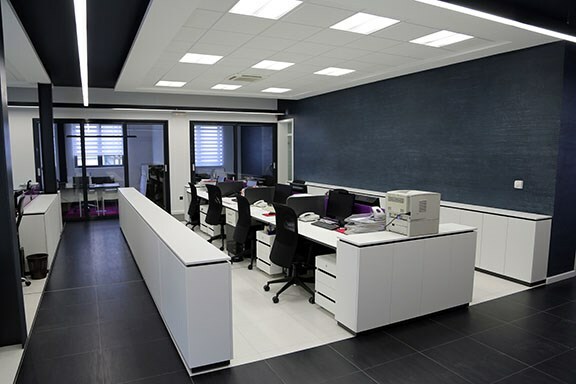 Whether you need basic moving services for a small office or you need assistance in packing, organizing, and transferring a large corporate business – we are here to help! Our Rockford office movers have decades of experience in everything from office moves to school, library, and specialized industrial relocation services. Do you need help relocating your employees and families as part of your moving process? No problem! Our Rockford business relocation company has highly trained staff and a fully secured warehouse storage facility. Our expertise and state of the art equipment is the perfect solution to assist your business and staff through every step of the relocation process. To find out more about how O’Mara Moving can help your business with all of its moving and storage needs, give our Rockford commercial moving company a call today or fill out our online form for a free estimate!